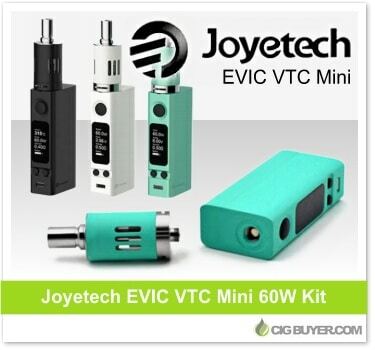 The Joyetech EVIC VTC Mini Kit is the updated version of the original EVIC VT; offering up to 60W of power with temperature control. It has most of the same features but comes in a slightly smaller package and uses a replaceable 18650 battery vs. a permanent, built-in cell. The EVIC VTC Mini operates in VW or VT mode and is compatible with standard kanthal coils (0.5 and 1.0 ohm) or Ni200 (0.2 ohm) and titanium (0.4 ohm) coils made with pure organic cotton. * Expiration of coupon codes unknown. Good while supplies last.